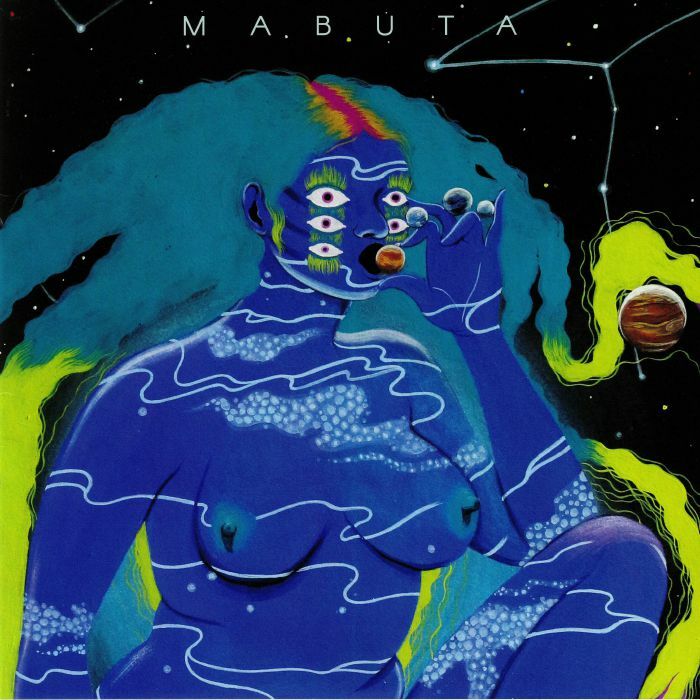 MABUTA Welcome To This World vinyl at Juno Records. 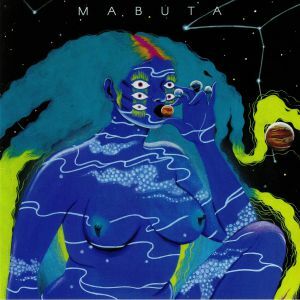 Afrosynth Records' latest must-have release comes from Mabuta, a Capetown-based collective headed up by jazz bassist and occasional electronic experimentalist Shane Cooper. "Welcome To This World" is naturally rooted in jazz, though it's spiritual movements and cosmic vibrations regularly include suitably intergalactic synth sounds and nods towards jazz-funk and Afro-beat. The latter influence comes to the fore on Buddy Wells collaboration "Log Out Shut Down", while the brilliantly out-there "Tafattala" wraps bustling, crashing jazz drums in mind-altering backwards instrumentation and Cooper's booming double bass. 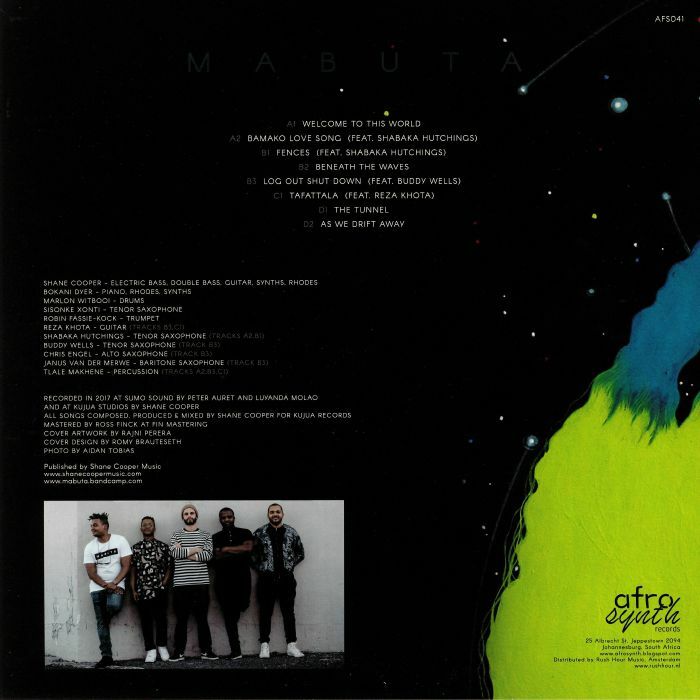 Mabuta is of course capable of providing good, old-fashioned laidback jazz moments, as the Cinematic Orchestra-esque "As We Drift Away" emphatically proves.